Elder abuse is any form of mistreatment that results in loss or harm to an older person. It is further categorised into physical, sexual, emotional and financial abuse. Financial abuse is most common kind of elder abuse, and it involves the improper or illegal use of an older person’s funds, property or resources. The most common perpetrator of elder financial abuse is an adult child of the victim, but can also include other family members, friends, caregivers and even professionals. In 2014-15, 155 matters of financial abuse of the elderly were reported in Queensland alone, representing a staggering $49,925,800, with 51 of these matters involving Enduring Powers of Attorney and the misappropriation of $10,968,500. In addition, Australia has the fourth highest old age poverty rate in the OECD, with an estimated one in four older Australians living below the poverty threshold. Queensland figures in 2013-14 indicated that approximately two-thirds of that state’s elderly – aged over 75 – have weekly incomes of less than $400. Homelessness is also becoming an increasing problem for the elderly, with estimates suggesting that persons aged 55 and over comprise approximately one-fifth of all homeless people in Australia. Of this number, 70 per cent experience first time homelessness having had a history of conventional housing but then experienced a ‘critical housing incident’, such as eviction, estrangement from family, affordability and relationship breakdowns. Older people are more vulnerable to financial abuse and scams from individuals wanting to access their assets, especially with one in 10 people aged over 65 suffering from some form of dementia or impaired capacity. 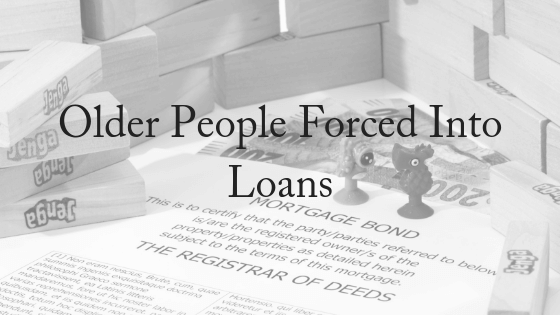 Is Elder Abuse Facilitated By Irresponsible Lending? 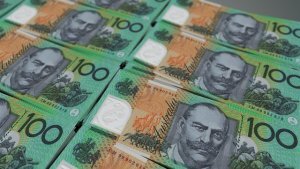 The Financial Services Royal Commission has recently heard how many elderly people are being adversely affected by irresponsible lending. Such lending is often the result of an agreement with a family member, for example an adult child, to help that person financially by entering into a joint loan. These loans are secured against the older person’s home, which is a huge risk if the loan defaults and the older person cannot service the debt. If the adult child does not pay off the debt, the older person – who is often asset-rich but income-poor – may be unable to service the loan. The older person’s property will be repossessed by the lender, forcing them to relocate, enter the rental market, or even become homeless. The loans may arise simply because the older person wants to help their adult child through a difficult financial period. It is understandable that a parent would want to help if a business is failing or a child is at risk of losing their house. But such loans often arise within an atmosphere of crisis (real or exaggerated), in which the adult child pressures the older person into entering into the loan. In extreme cases, older people have been told that they will be unable to see their grandchildren if they do not enter into loans. It is not always that the older person is vulnerable per se, but that they are “situationally vulnerable” because of concern for the well-being of a child, or the desire to maintain relationships. The reality is that it is often difficult for the older person to refuse. Advocates are rightly concerned about the financial consequences for older people who enter into such loans. However, the property does belong to the older person and they are entitled to make whatever decisions they want, including risky ones. Elderly people should be fully informed of their obligations and the potential consequences, should a transaction goes wrong. To ensure that older people contemplating joint loans are aware of the downside of transactions, there needs to be greater access to legal and financial advice prior to the transaction and better training for bank employees and loan officers about responsible lending obligations and the potential “unsuitabilty” of such loans. Bryan Mitchell, an Accredited Specialist in Succession Law (wills and estates) said that professionals should be aware of the signs of cognitive decline in an older person, and to be aware of how elder financial abuse is perpetrated. Other professionals, such as financial planners, can play an important and essential role as frontline responders when it comes to elder financial abuse. Through their close relationship with their clients, they play a vital role in monitoring their clients’ financial affairs, so they are well positioned to identify potential elder abuse. If you’re concerned about elder financial abuse, please contact us immediately. The sooner you seek help the easier it is to remedy the situation. Once assets are sold or spent, it is unlikely that they can be restored. We offer a FREE, 10-minute phone consultation.